The lawsuit against the Utah Attorney General's Office is 18 pages of scandal: A paralegal allegedly engages in an inappropriate relationship with her boss, a high-ranking state attorney. Rather than being punished, the pair are promoted. An employee points out how state funding for the Attorney General's Office is purportedly misused. Instead of the agency fixing the problem, the employee claims he is ridiculed and punished by management for knowing about it. These claims are all outlined in a civil lawsuit filed July 13, 2015, by Assistant Attorney General R. Jason Hanks, who says that the Attorney General's Office retaliated against him for being a whistleblower. The Attorney General's Office sought to have the case dismissed on grounds that Hanks' whistleblower suit should be litigated within the Utah Antidiscrimination & Labor Division, not the courts. But in a hearing on Dec. 11, 3rd District Court Judge Paul B. Parker denied that motion. An audio recording from the hearing, as well as several filings in the case, have been sealed. Missy Larsen, spokeswoman for the Attorney General's office, says that due to pending litigation and the fact that the case deals with a current state employee, the office cannot comment on the details of the case. But Larsen noted that Hanks has filed formal complaints against the office in the past that failed to gain traction. "We strongly disagree with Mr. Hanks' allegations of any corruption or illegal behavior by the office," says Larsen. In 2007, Hanks levied a complaint with the state's Career Service Review Board, accusing the AG's Office of unfairly implementing a new pay structure created by the Legislature to bring the salaries of public attorneys to parity with their private counterparts. In response to the complaint, then-Attorney General Mark Shurtleff said that because Hanks wouldn't be unfairly compensated under the new pay structure until he was promoted, the complaint was not yet "ripe." The board dismissed the claim. A year later, Hanks, after failing to receive the promotion Shurtleff referenced in 2007, filed another complaint with the board alleging that his failure to win a promotion was retaliation for the earlier complaint. But this case, too, was dismissed. That a state attorney who spends all day immersed in court and lawsuits could be litigious isn't entirely surprising. But for a state attorney to sue his own agency creates a sensitive situation for the Attorney General's Office. And, in the wake of the corruption scandals involving former Attorney General's John Swallow and Mark Shurtleff, the office has been scrutinized by state auditors for its lack of protections for whistleblowing employees. Striking a balance where employees feel safe to shine a light on corruption without fear of retaliation while simultaneously protecting the state's interests is a challenge and one that is at play in Hanks' suit. "We do not terminate any employee solely for exercising a right to complain through the courts or administrative processes, even when claims have no merit," Larsen says. On Dec. 17, the same day City Weekly asked officials at the Attorney General's Office to comment on the suit, Hanks was placed on paid administrative leave. Hanks declined to speak to City Weekly, citing an office policy forbidding state's attorneys from speaking to the media. Larsen declined to say why Hanks was placed on leave. 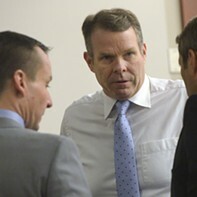 But through court documents filed on Monday, it's clear that Hanks did not take kindly to being sent home from his job. According to the documents, Hanks was told by Chief Civil Deputy Bridget K. Romano that his allegations of "recurring and ongoing harassment and also a hostile work environment require investigation." To preserve the integrity of the investigation, and to "shield" Hanks as the investigation unfolds, Romano contends that leave is appropriate. In response, Hanks filed for a restraining order against the office. In court documents, Hanks alleges that the Attorney General's Office "illegally suspended plaintiff's employment rights without notice, without cause, and without a hearing and opportunity to be heard with the pretext of 'protecting' plaintiff involuntarily." 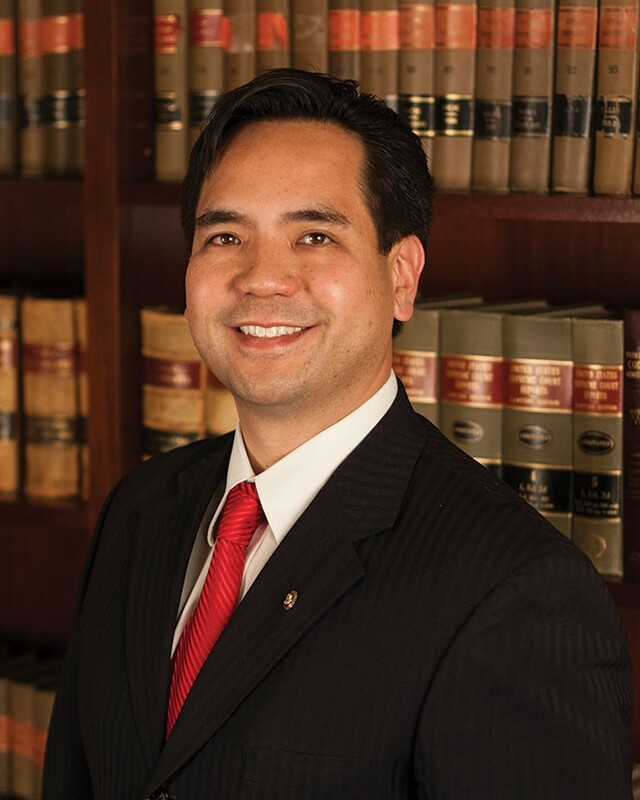 Hanks also notes in his request for a restraining order that the Attorney General's Office violated his constitutional rights by seizing his work computers and phones before he could remove private information. Larsen says the office is preparing a response to the restraining order. 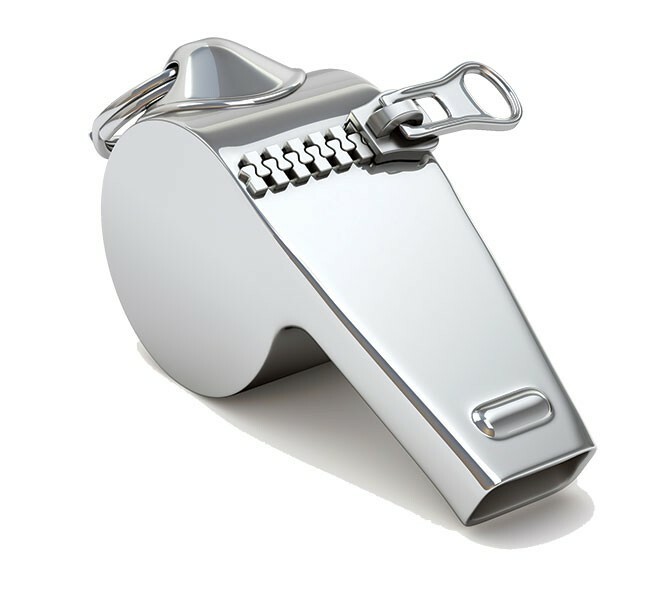 At the heart of the whistleblower suit is a claim by Hanks that the Attorney General's Office arbitrarily and unfairly punished a separate veteran prosecutor for speaking against the promotion allegedly given to a pair of employees involved in an inappropriate relationship. The pair, the suit states, exchanged sexually charged emails through their state email accounts. Hanks' lawsuit alleges a number of emails between the couple were leaked to an online news outlet by an insider in the Attorney General's Office. According to Hanks' lawsuit, on March 17, 2014, in response to the leaked emails, officials from the Attorney General's Office sent an office-wide email threatening termination to any employee who spoke to the media about the agency. "This policy violates constitutionally protected free speech and violates public policy by preventing the public from knowing about corruption within the Utah Attorney General's Office," the suit states. In the suit, Hanks outlines a series of disciplinary actions taken against him, including a reprimand for authoring a letter to Attorney General Sean Reyes about the "long and ongoing pattern of abusive, arbitrary, capricious, and adverse actions taken by management within the Attorney General's Office that plaintiff has personally witnessed and received." The suit continues: "Reyes violated Utah Attorney General Policy and his public responsibility by not responding, not investigating, not protecting the email, and not taking action to resolve management's violations of Utah law and Attorney General policy." Hanks' lawsuit alleges that, within days of writing to Reyes, other managers began to "aggressively take adverse and retaliatory actions." These actions continued, Hanks claims, culminating with a reprimand in February 2015. The abusive patterns outlined in Hanks' suit have persisted through October 2015. The lawsuit highlights yet another concern: that Hanks complained to his superior, noting money appropriated by the Legislature for "child support enforcement" was being misused. Hanks claims his superior grew hostile, but an hour later, in another meeting, this official directed employees change the way funding was being allocated because the Internet Crimes Against Children unit, which Hanks was calling into question, "might get audited." The lawsuit shines light on ongoing issues in the office that, according to the Legislative Auditor, have not been addressed. According to the June audit, the Attorney General's Office lacks an anonymous reporting mechanism for employees to raise concerns, and the processes to investigate and raise ethical concerns are inadequate. The report cites the "powerlessness" that AG employees claimed to feel when they witnessed wrongdoings during the Swallow and Shurtleff regimes and couldn't raise red flags. "Overall, [the Attorney General's Office] ethics and fraud reporting processes have significant flaws," the audit says. "Those flaws may have perpetuated the feeling of powerlessness expressed by employees cited in the House Special Investigative Commission's report." Larsen says that since Reyes has been in charge, the office has taken steps to accommodate more protections for whistleblowers. The lawsuit provides a rare glimpse inside the state's most powerful law enforcement agency that, since the days of Shurtleff and Swallow, has been mired in corruption scandals that have left the past two AGs facing felony charges. And it appears to be the first tangible case that could test the Attorney General's Office's claims that its attorneys are able to point out wrongdoing without fear of reprisals. According to an affidavit filed by Hanks, though, litigating the case (he is representing himself) just got a lot more complicated.